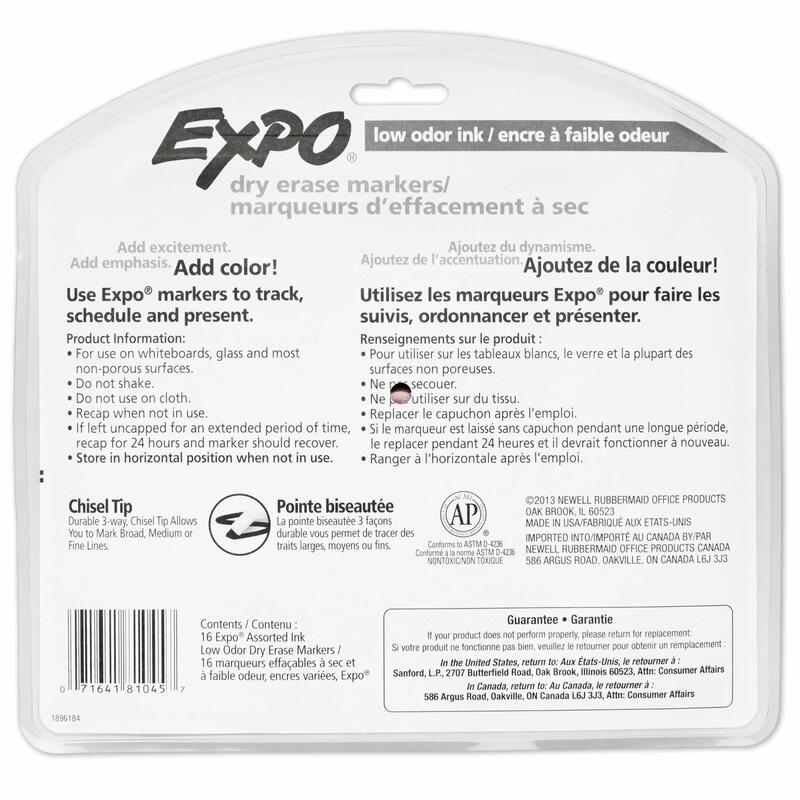 Expo Low Odor Dry Erase Markers feature vivid ink that?s easy to see from a distance and provides consistent color quality. 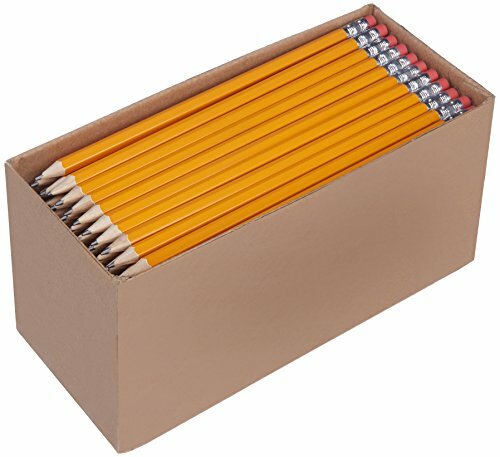 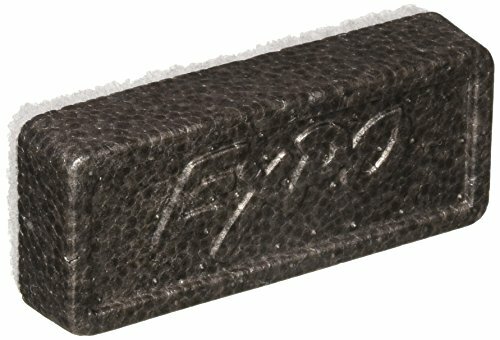 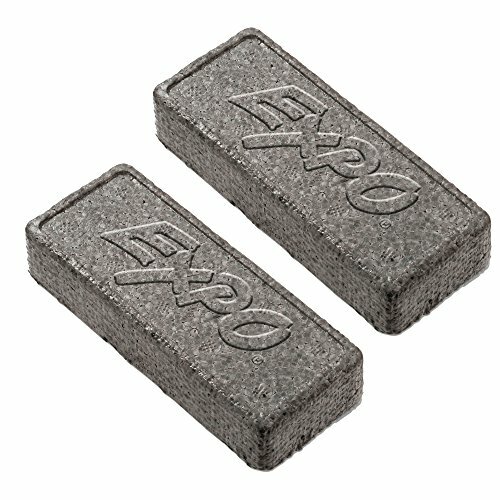 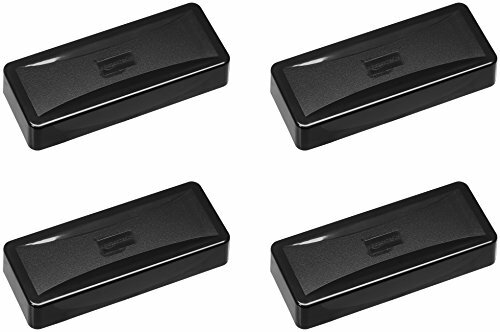 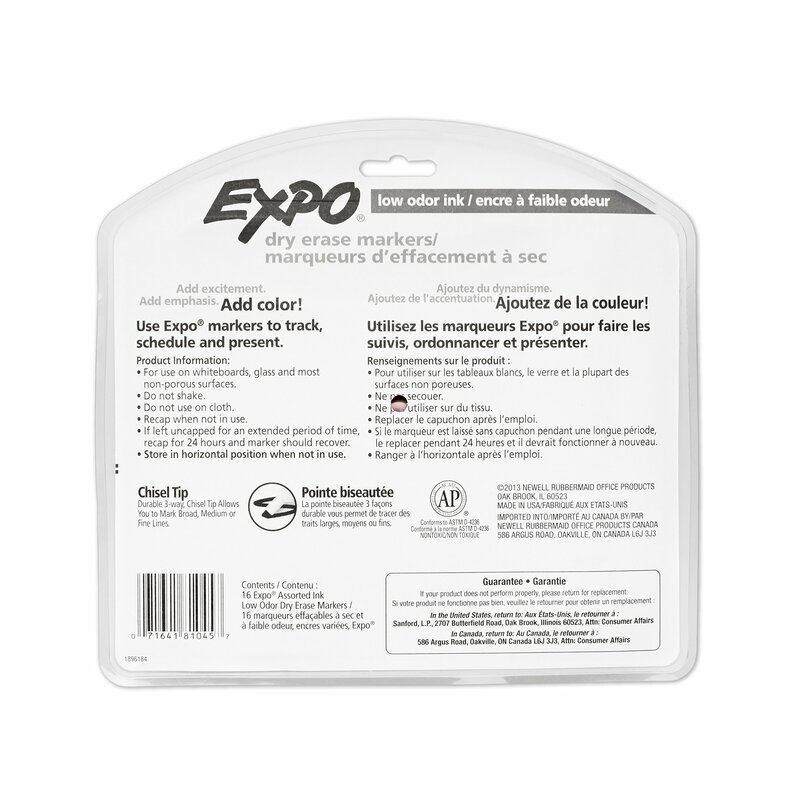 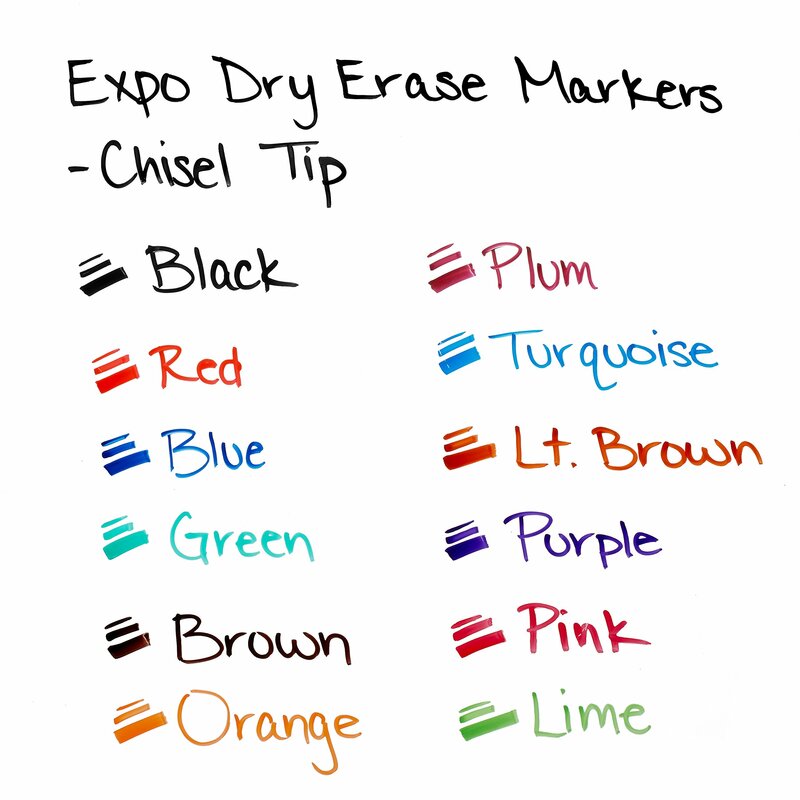 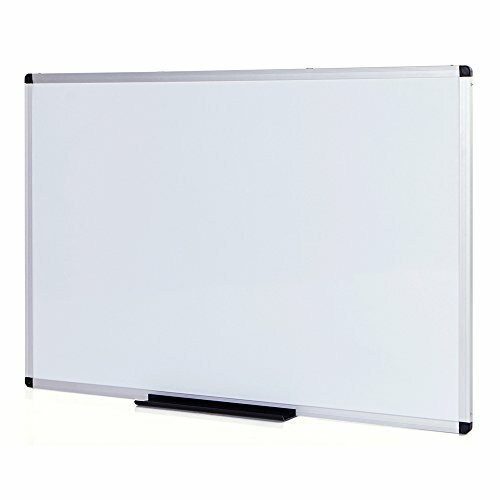 These Expo dry erase markers erase cleanly and easily from whiteboards and other nonporous surfaces with a dry cloth or Expo eraser. 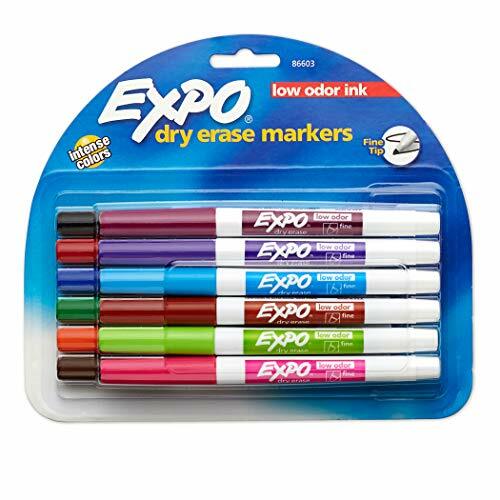 The dry erase marker ink is specially formulated to be low-odor making it perfect for use in classrooms, offices and homes. 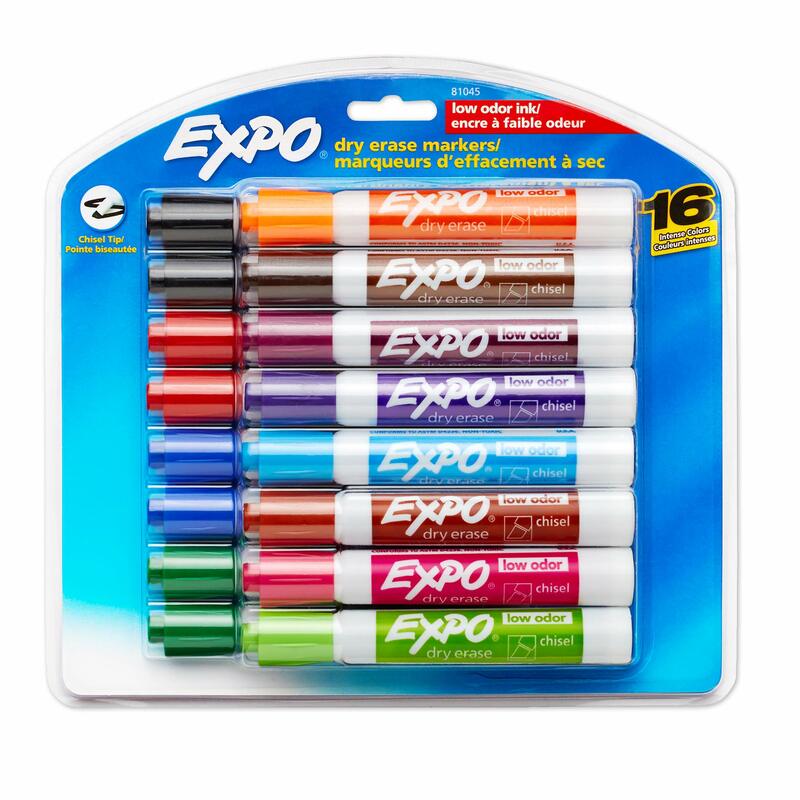 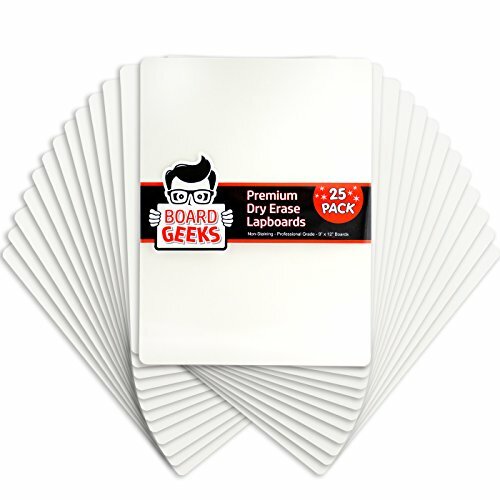 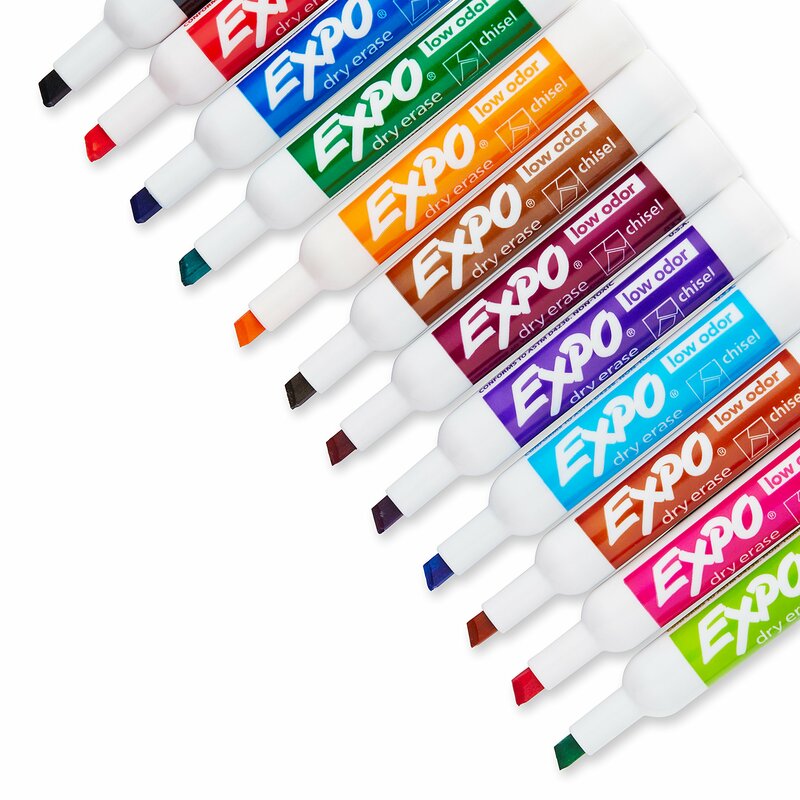 Use your colorful Expo dry erase markers to track, schedule and present.